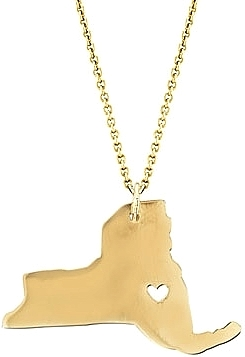 This necklace by Maya J features the state of your choice on a cable chain. the heart can be placed wherever you want. In the comments box please indicate where you want the heart placed.